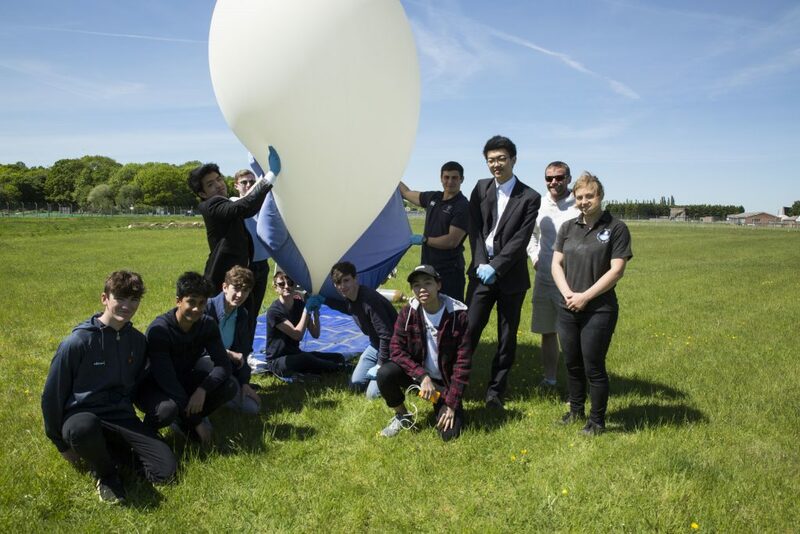 A group of 13 Berkhamsted students successfully launched Berkhamsted’s fourth High Altitude Balloon from the European Astrotech base in Westcott near Aylesbury, Buckinghamshire. Named BerkoHAB4, the balloon eventually ended up near Middleton Stoney, Oxfordshire travelling only 14 lateral miles this year but reaching a maximum altitude of nearly 27,000m. The students who form the Key Stage 5 (Year 12 & 13) STEM Club spent months preparing for the flight. After an assessment of the conditions and jet stream, a flight plan was made for Monday 14 May. The High Altitude Balloon carried a payload which was designed and created by the students. The payload contains the necessary equipment to track and recover the balloon, student experiments and cameras. This year was a first in that a team were able to transmit a small number of images live and direct from the balloon during flight. On the day of the launch many tests and calculations took place before the students battled with high wind speeds to fill the balloon with 3,000 litres of helium. After a dramatic countdown, the balloon quickly disappeared in the direction of the bright sunshine. The students turned to the tracking devices to monitor the live data. The balloon eventually burst as expected and the payload returned back to earth by parachute, suffering only minor cosmetic damage from the journey.